Doodly is a happy fifteen year old who absolutely loves her friends. 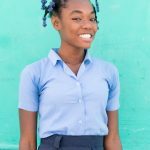 She lives with her father, sister, and brother in the village of Galette Chambon. Her mother died several years ago and her father is disabled. They depend on neighbors to help them eat each day. 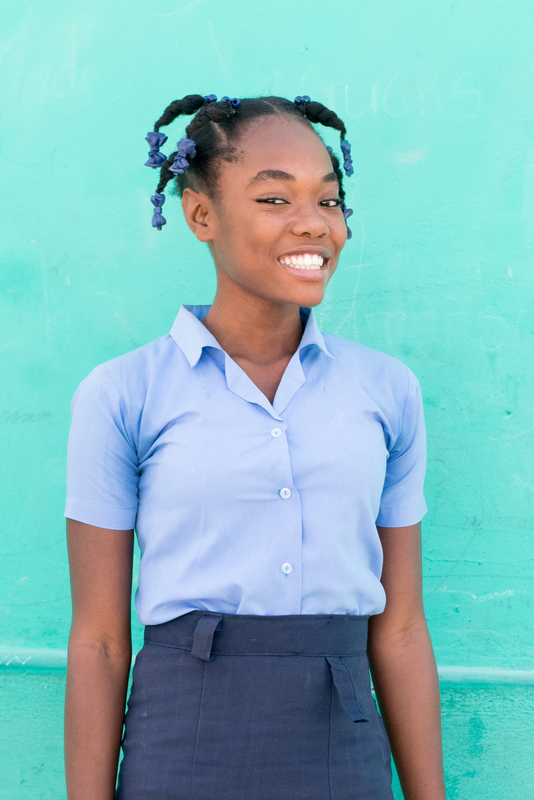 Her brother tries to raise goats to pay for their school, but it is not guaranteed income. Doodly loves to study her lessons at school and do homework. Her favorite subjects are communications and French. When she grows up she wants to become a nurse. 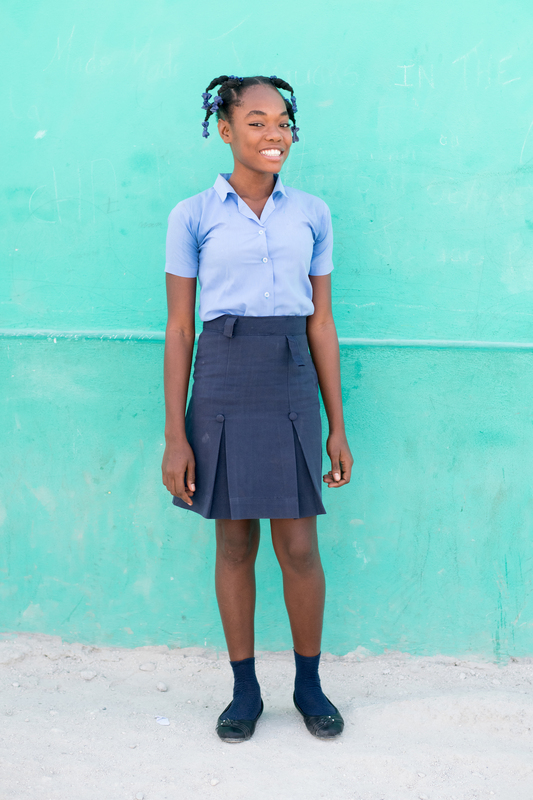 She says that her favorite thing about Haiti is her church and her school.